DARWIN's main window presents a list of dolphin data contained in the database. The list may be ordered by name, id code, damage category, sighting date, etc. 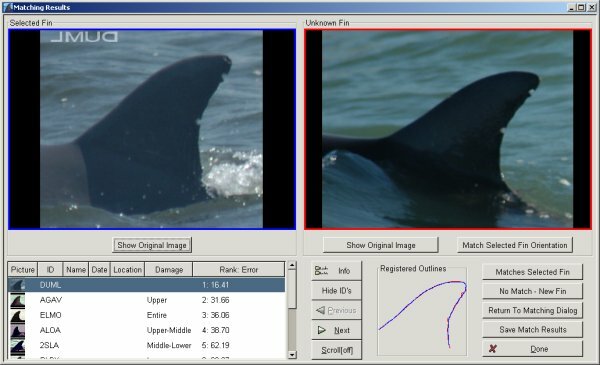 Individual images, sighting data and fin outlines may be viewed for each dolphin. 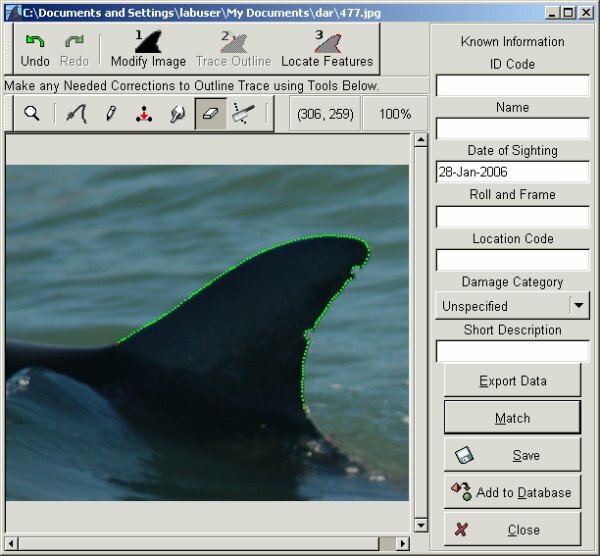 The tracing window allows the user to perform a sketch based query of the database of dorsal fins. 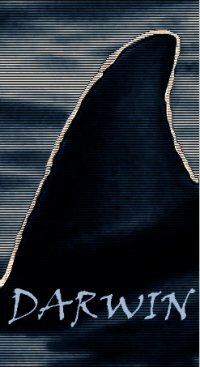 A dorsal fin image is loaded, the user traces a rough sketch of the outline, and active contours are used to automatically reposition the outline along the fin's edge. This window is used to add new dorsal fin images and associated data to the database. Image processing to improve the appearance of the fin or change its orientation may also occur here. Following a query of the dorsal fin database, DARWIN presents a list of fin images which most closely resemble the unknown fin image. A comparison of the registered fin outlines with the unknown outline is also shown.